Tien Tien is a Taiwan based company who provides wooden laser-cut keychains, earrings, and necklaces. They are made up of dream-team couple who hand-makes and designs all our amazing wood work. They use high-quality wood, digitally guided laser technology, and detailed hand-painting to bring their design alive in their high-tech home studio. Laura is the owner and maker at Sharing Seams and has been a long time college friend of Emily, the owner of Emii Creations. 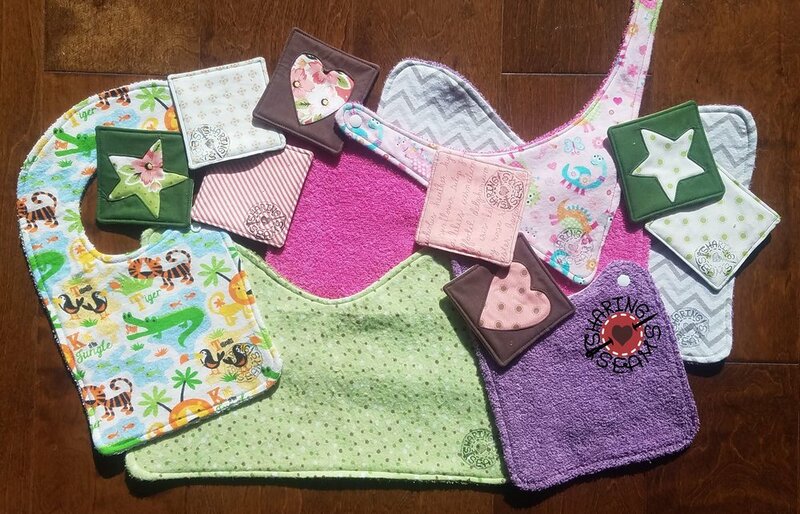 We partner with her to bring you amazing handmade, one of a kind product with cute Emii Creations designs custom printed on each fabric.